Soap making supply catalogs are available in both online and hard copy formats. Whether you choose one or both types is largely up to your own preferences. The following soap making catalogs are accessible online. Many of these catalogs have printable formats in case you prefer a hard copy of your catalog. Nature's Garden is a family-owned business that was established in 1997 as a candle supply company. As it grew, it began to carry soap making products as well. The company ships orders before noon each day. so you can get your supplies as soon as possible. This company also offers customer support. Whether you have questions about your order or about how to properly mix the lye into the soap, you can get them answered at this customer-friendly company. There is also a monthly newsletter that you can read onsite. 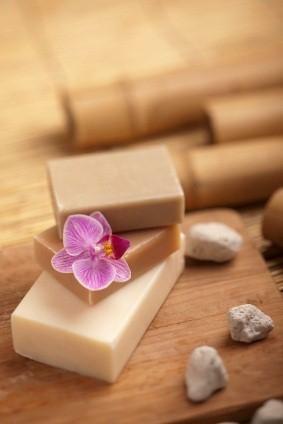 Symphony Scents carries all kinds of supplies for soap making. They carry many different types of soap bases and molds as well as colorants and scents. This company offers $7.95 flat shipping rate on all orders.They have been in business for fifteen years and have a brick and mortar store in New York, as well as an online catalog. There is even a friendly blog that discusses many aspects of soap making and the company's various projects. It is called Denise's Yadda Yadda. Ellen's Essentials carries all kinds of soap making supplies from fragrances to molds. They even carry bottles and jars to store your liquid soaps and shampoos in. The site is very informative and easy to navigate, and the catalog is full of great products. Look for a company that has been around for awhile, and always check the return policy and guarantee. Make sure you read all descriptions carefully, especially if you are just beginning to make soap. If you have any questions be sure to ask the company by either email or phone call. You want this to be an enjoyable experience, not a lesson in frustration because you bought the wrong thing and the company won't take it back. Choosing the right supplier will make your craft project even more fun.